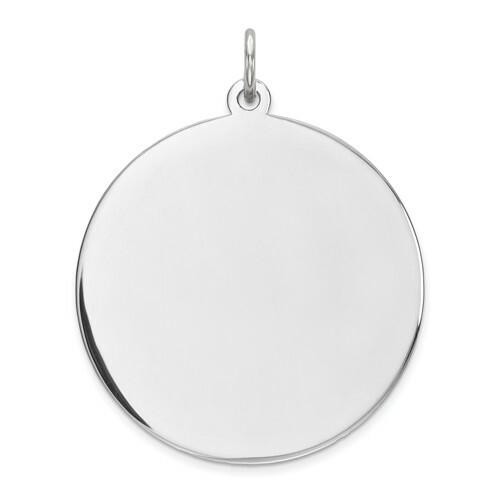 Engravable round disc charm is made of polished sterling silver. Item size: 15/16 inch tall by 15/16 inch wide without bail. 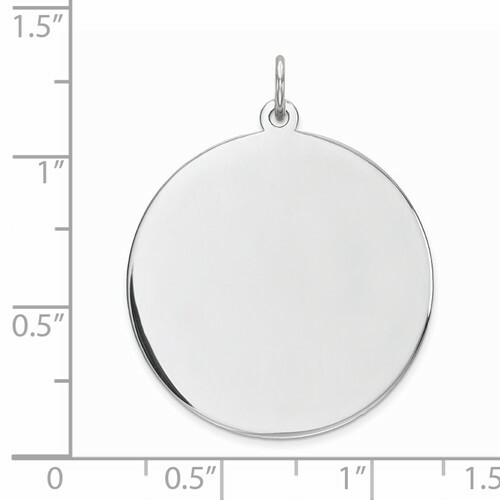 This item is slightly larger than a nickel. Weight: 2.5 grams. .018 inches thick. Engraving done on front. Made in USA.